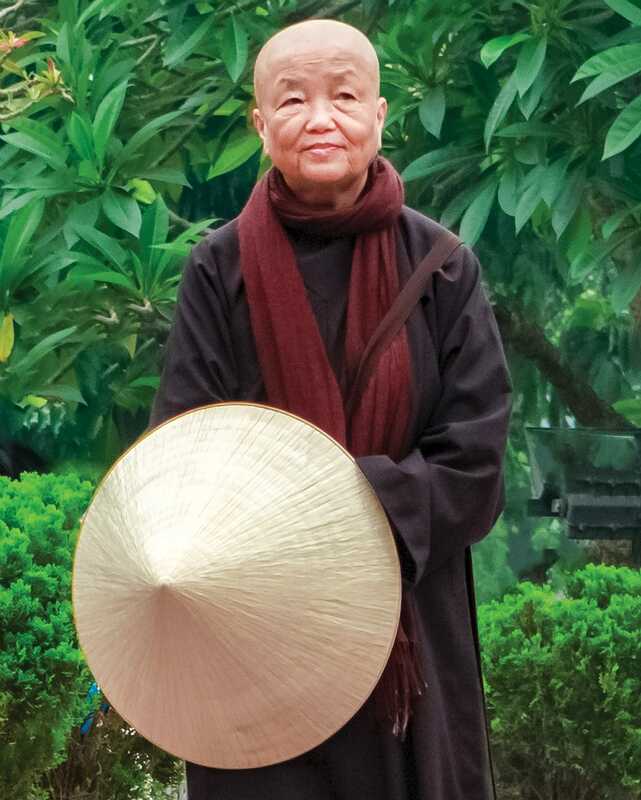 Thich Nhat Hanh’s closest collaborator, Sister Chan Khong, brings us up to date on his health and the future of his teachings and community. 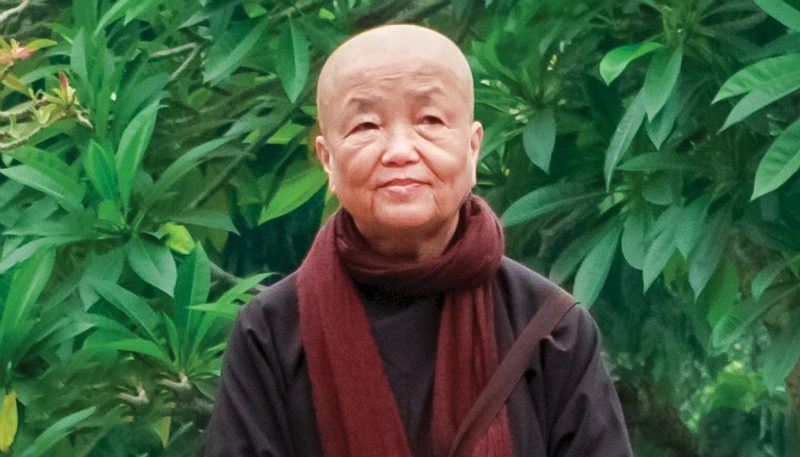 Sister Chan Khong. Photo by Paul Davis. Melvin McLeod: Following his stroke three years ago, Thich Nhat Hanh is now resting and recovering at Plum Village in Thailand. How is he doing? He cannot stand up on his feet yet, but he is stronger and stronger every day. He has started to say a few words, although not very clearly. Sometimes we sing songs like, “I have arrived, I am home in the here and now,” and he’ll say “here,” “now,” and so on. 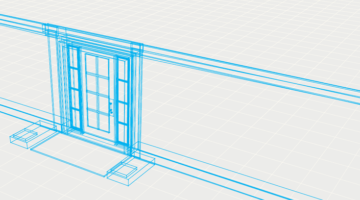 He is making good progress, but it is slow. I had the honor to visit Thay when he was being treated in San Francisco. He was in a wheelchair and didn’t speak, but it was clear he was as sharp, present, and engaged as ever. You were with him in San Francisco then, and you told me how close he had come to death. Thich Nhat Hanh already had serious health problems for many years—with his lungs and his digestive system—before he had the stroke. When he had the stroke, the neurologists said he would not live more than one day. I think it was a miracle that he survived. Yes. You told me that you believe the prayers and good wishes of people around the world—students and non-students, Buddhists and people of other faiths—made the difference. His teachings have benefited millions of people around the world, and over the decades, hundreds of thousands have attended his teachings in person. I was fortunate to attend one of his five-day retreats and his dharma teachings were among the most powerful and comprehensive I have heard. Now that he is no longer teaching personally, will his teachings continue to reach people? At the beginning after Thay’s stroke, we thought it would be difficult to continue. Every year, we have a gathering at Plum Village in France for four days to practice and hear dharma talks. When Thay was giving the talks, about twelve to thirteen hundred people would come for them. Now, the same number of people come to hear the talks at Plum Village, maybe even more. There’s no doubt that Thay’s impact is growing. 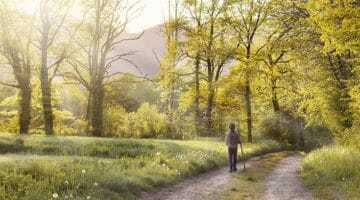 So the benefit of Thich Nhat Hanh’s teachings will continue in Europe, in the United States, in Asia, and elsewhere. I don’t think there will be any problem with the continuation of Thay’s teachings. Many people come because they have read his books. They try their best to transform and so they come for a day or a week of mindfulness. There’s no doubt that Thay’s impact is growing. 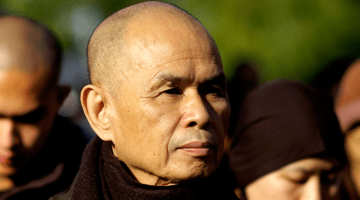 Thich Nhat Hanh never named a successor, even you as his most senior disciple. What is the future of his lineage and community? Even before the stroke, I think Thay prepared everything in advance. He didn’t want to have one heir to replace him. He said the sangha’s collective insight is very important. So his continuation is the sangha of dharma teachers, the sangha of monks and nuns, and the sangha of lay practitioners. That is the key for us. Sometimes, as a big sister, I might think I have the power and the right view. But it’s not true. We need the collective insight of many dharma teachers. That is one of the dharma seals of Thich Nhat Hanh. He gave his heritage to the whole sangha of monastics and lay practitioners. Melvin McLeod is the Editor-in-Chief of Lion's Roar magazine and Buddhadharma.